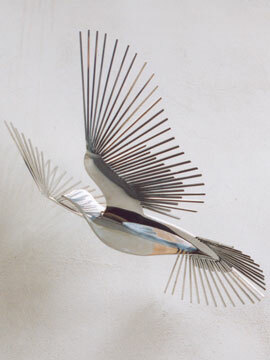 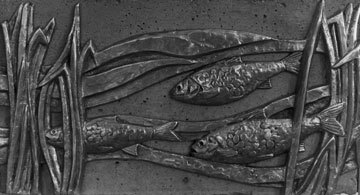 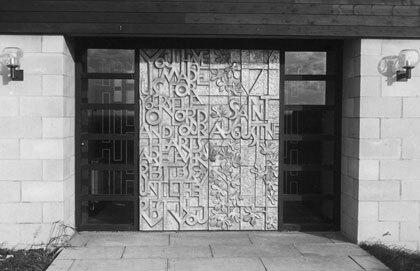 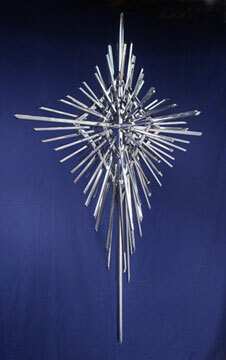 All works in stainless steel made in conjunction with engineer Eddie Norris. 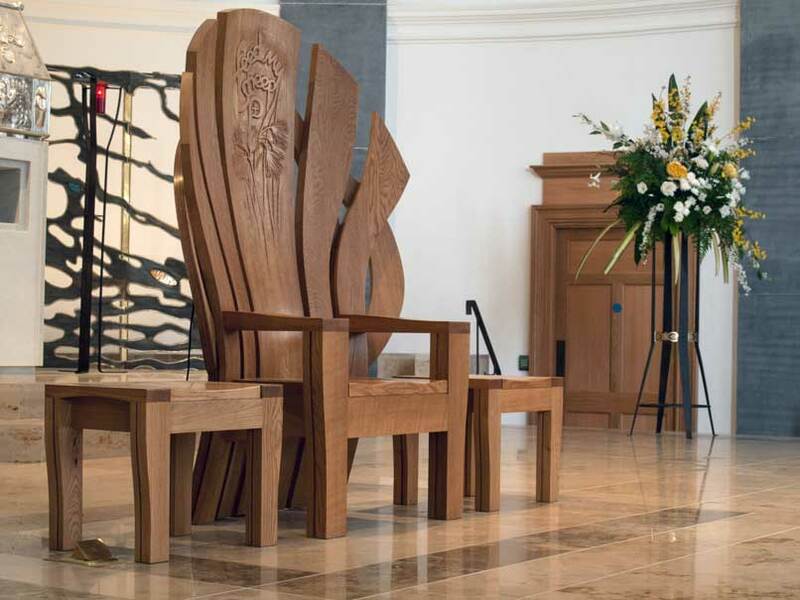 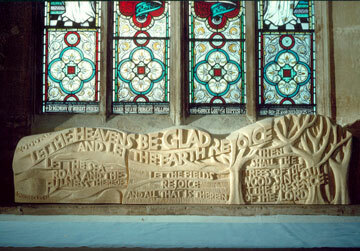 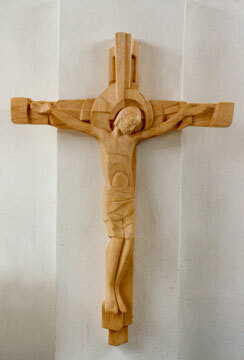 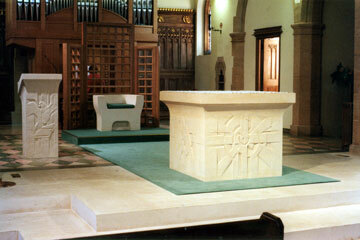 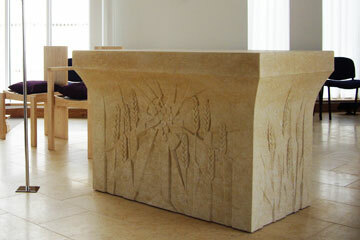 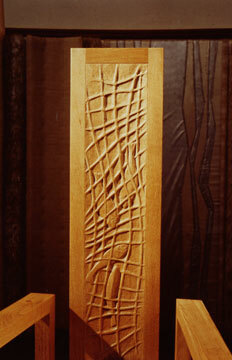 Cathedra in oak (working with furniture makers Rodney Forss and William Hall) for St Mel's Cathedral in Longford, Ireland. 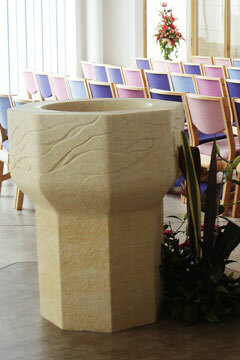 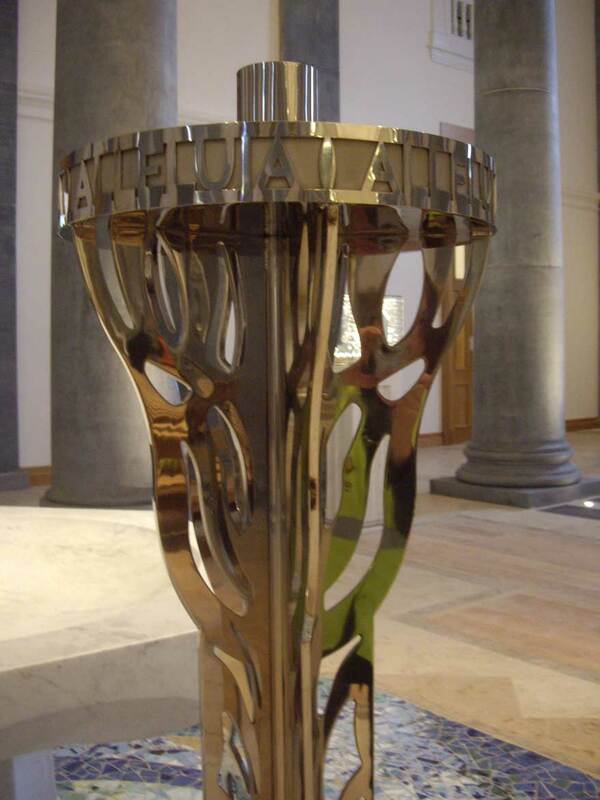 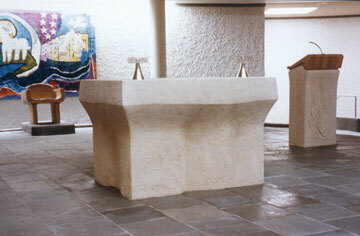 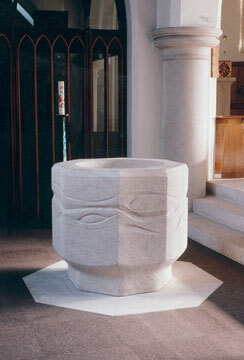 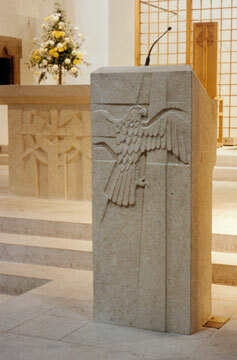 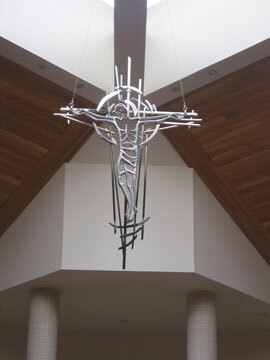 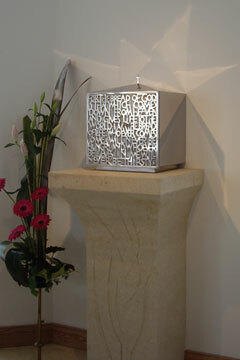 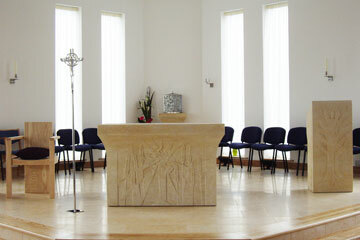 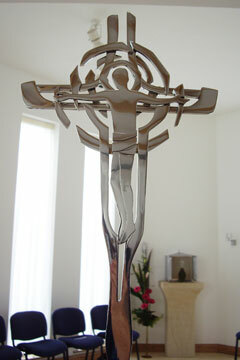 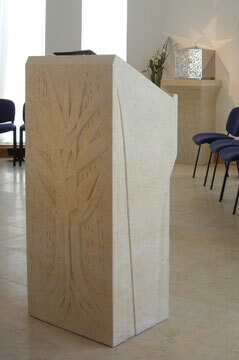 Paschal candleholder in stainless steel for St Mel's Cathedral in Longford, Ireland.